TORONTO, February 6, 2019–(BUSINESS WIRE)– FSD Pharma Inc. (CSE: HUGE) (OTCQB: FSDDF) (FRA: 0K9) (“FSD” or the “Company”), announced that its Board of Directors has concluded a strategic assessment of the Company and has implemented changes in leadership and business practices to optimize operations. Accordingly, the Company announced today that Dr. Raza Bokhari, Executive Co-Chairman, has been appointed interim Chief Executive Officer of FSD Pharma, effective immediately. 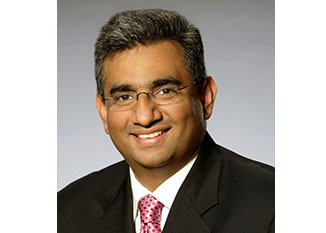 Dr. Bokhari’s appointment follows the termination of Rupert Haynes. To assist with the search for a pharmaceutical executive and other senior executives to lead FSD Pharma’s pharmaceutical business practices, the Company has hired Greg Button, Global Head of HealthCare recruiting at Korn Ferry, a leading global organizational consulting firm. Mr. Button has over two decades of experience placing C-suite executives into public and private equity-backed companies. Additionally, the Company announced termination of a definitive agreement with Auxly Cannabis Group Inc. (“Auxly”) effective today, February 6, 2019. Under the terms of the agreement dated March 3, 2018, Auxly was obligated to develop all aspects of the Company’s cannabis cultivation facility in mutually agreed upon staged phases. We are taking these momentous steps to unlock shareholder value and re-energize execution of our company’s vision. The Board believes the Company has unique and invaluable assets and is taking appropriate actions that will support long-term positive cash flow and shareholder value.